The wispy-voiced Scottish singer-songwriter delivers her fifth solo album, an ambient slow burner with moments of brilliance. When I was in college, I had a lot of girl friends who performed in student dance groups. I'd go to the shows sometimes, and, since I have little to no interest in dance, a lot of my attention naturally gravitated toward the music choices. You'd hear a smattering of various genres -- rap, mainstream pop, dubstep, dance mashups -- but without a doubt, the most common thing you'd hear was a very specific type of music: slow, reverb-heavy, vaguely industrial ballads with looped beats. I've come to refer to it as "college student dance group music", for lack of a better descriptor. Plenty of artists, good and bad, have either dabbled or made their name in CSDG music; Seal, for one, or Imogen Heap. The reason I talk about this kind of music is that nearly every song on Pulse, Scottish singer-songwriter Astrid Williamson's fifth album, is guaranteed to end up as background music to sociology majors reaching up at the ceiling and doing weird quasi-yoga in blackbox theaters, for better or worse. 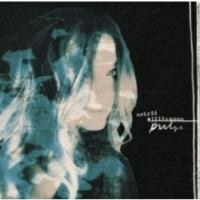 Williamson began her career as the frontwoman for the energetic indie rock group Goya Dress in the '90s, but on Pulse, Williamson works entirely in haunted sonic landscapes populated by echoing pianos and ambient noise, resulting in a sound that's at turns boring and captivating. Williamson enlisted the help of Brian Eno collaborator Leo Abrahams for Pulse, and Eno's influence is certainly felt here. In its quieter, sparer moments, the album evokes Eno's "Music for Airports" as well as contemporary ambient artists like Akira Kosemura. On "Connected", the centerpiece of the album, Williamson's lilting, understated vocals whisper out a measured folk melody over a rich piano-guitar waltz; and the beautiful album closer "Paperbacks" has Williamson harmonizing with herself over an economical piano line, marveling at "How it feels / To be loved." Other times, though, the broad, empty spaces Williamson employs can be enervating. "Underwater" and "Husk", two glacial, overwrought ambient ballads with lyrics out of a high school poetry class ("I am winter," begins "Husk"), squander Williamson's delicate vocals. The difference between a song like "Paperbacks" and a song like "Underwater" is difficult to define but undeniable; you get the impression that the former is coming from Williamson's heart, while the latter feels more like a tired genre exercise. That's not to say that the whole album is populated with darkness and scarcity. "Cherry", seemingly aware (despite being a song and, therefore, incapable of thoughts and ideas) of the slogfest called "Underwater" that precedes it, plays like a mellowed-out tUnE-yArDs jam, complete with psychedelic guitar riffs, tribal percussion, chirpy harmonies, and even a theremin-sounding synth solo. And the self-titled track, which is the closest thing Pulse has to a traditional single, hews closer than anything else on the album to the post-Alanis pop-rock she made on her early records. All told, Pulse is less of a game-changer for Astrid Williamson than it is a bit of a paradigm shift. She's immersed herself even more fully into the ambient soundpool, a move that's put her voice front-and-center but also limited her range a bit. When everything comes together, Williamson's music is moving and nuanced in a way few of her peers achieve; and even when she allows herself as a songwriter to be fettered by ominous, haunted sonics, it can still be exciting to listen to the growing pains of an artist working through some new ideas. And let's face it: if you're going to have to sit through a crappy student dance show, there are much worse things you could be listening to than this.